The Aquarius was due to dock in Malta on Wednesday after EU countries thrashed out a deal to take in the 141 migrants onboard the rescue ship, which had yet again become stranded in the Mediterranean. The ship was set to arrive in the Maltese port of Valletta at around 1.30 pm (1130 GMT), according to a spokeswoman for SOS Mediterranee, the French charity which charters the ship. 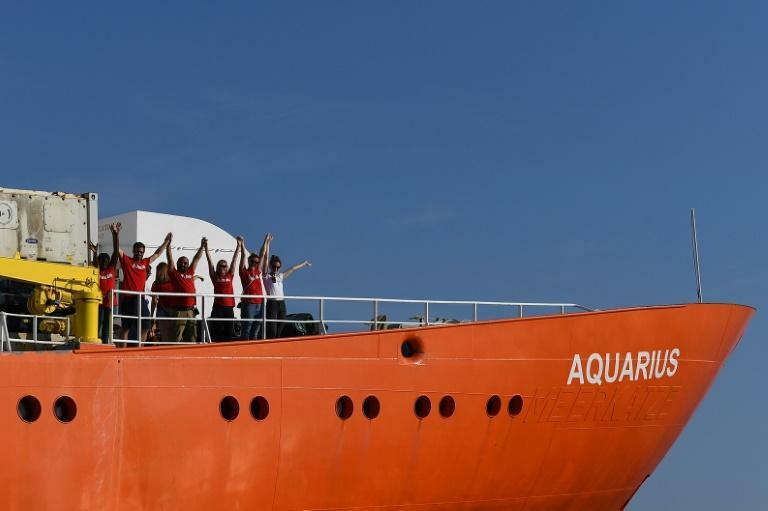 The Aquarius had rescued the migrants off the coast of Libya in two separate missions last Friday, only for Italy and Malta to refuse access to their ports. The standoff was a repeat of that seen in June when the vessel was at the centre of an international diplomatic crisis. Stranded with 630 people onboard after Rome and Valletta turned it away, the Aquarius had finally been allowed to dock in Spain. On Tuesday, France, Germany, Luxembourg, Portugal and Spain agreed to take in its latest passengers, along with 114 others who arrived in Malta on Monday. The agreement is the fifth of its kind between Western European governments since June when Italy -- until now the main landing point for rescue boats -- began turning them away. Italy's new populist government has said it has had enough of migrant arrivals, taking in 700,000 people since 2013. Far-right Interior Minister Matteo Salvini has vowed that the Aquarius will "never see an Italian port" again, though the Italian coast guard continues to rescue migrants. NGOs say they have a moral obligation to rescue people making the perilous crossing, who could otherwise join the estimated 1,500 killed en route this year alone. Most of the 114 people onboard the Aquarius are from Somalia or Eritrea, and many of them are unaccompanied children.